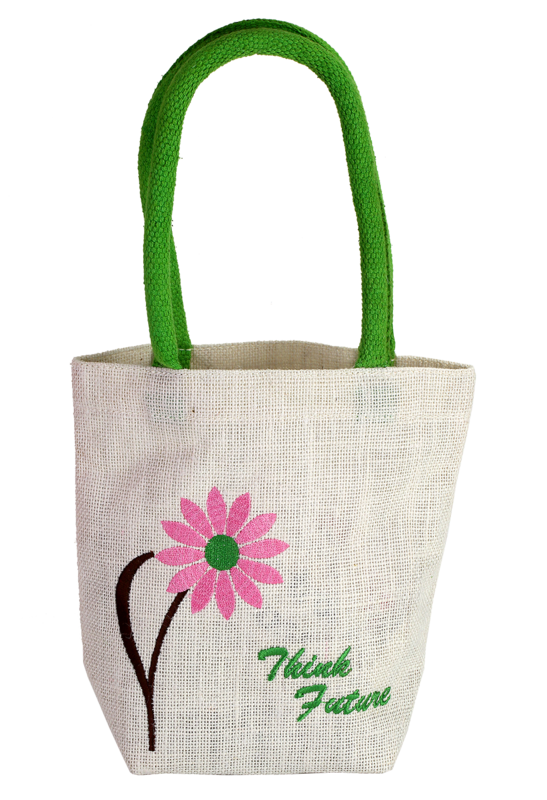 This eco-friendly Jute bag reflects the blending of bottle green and white colors with an adorable pink floral design in between. It is an item of grace and sophistication, and kids would love it most for its sweet unique features. 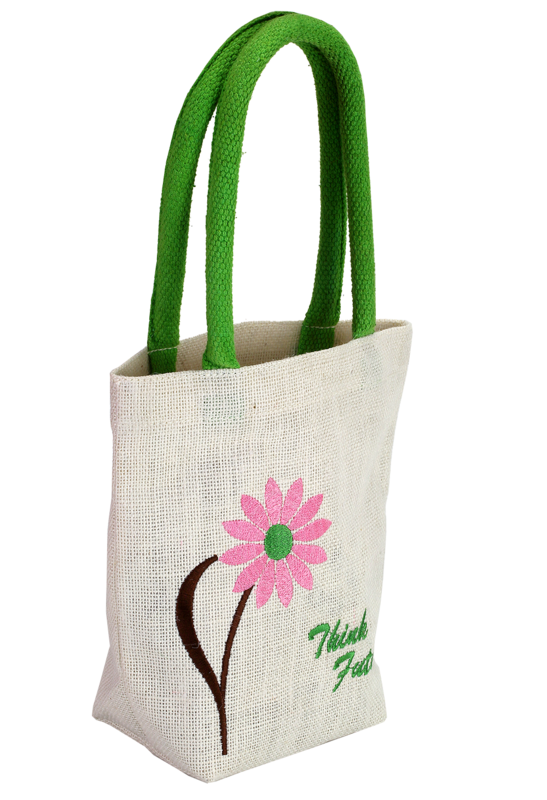 You can use it as regular product, or use it as a promotional tool for your business. It is 26cm in height, 21cm in width and 10cm in depth. 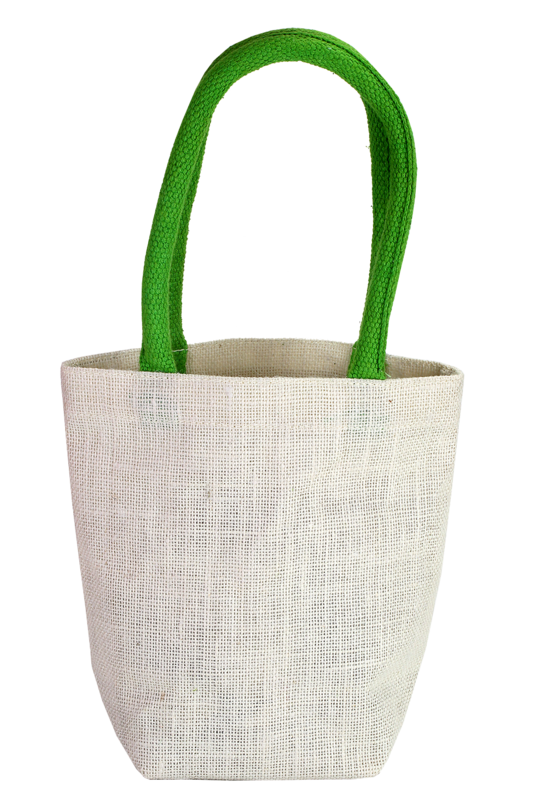 Though it is small, but it is trendy and fashionable in its features.